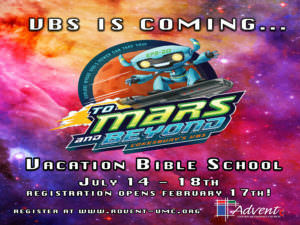 Vacation Bible School will be held July 14th – 18th at Advent! Children attending VBS must have turned 3 years old by September 1, 2018 or older. Registration is based on the grade level just completed.